In my experience, stepping out of line from our hectic, and often stressful, routines is one of the best ways of restoring balance, recapturing joie de vivre and reconnecting with our innermost essence. So, I am very excited to be developing a retreat programme to run alongside my regular teaching. 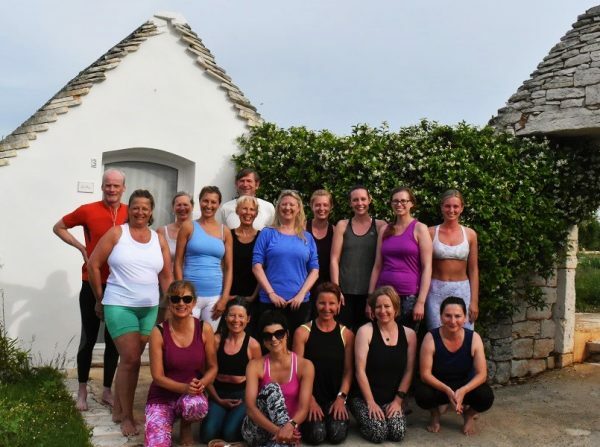 This retreat offers a total rebalance immersion – bringing together the key elements from my successful 12-week programmes to create the perfect opportunity to reaffirm your commitment to being the very best you can be. Blending together my experience of both nutrition and yoga I’ll be offering you wellness guidance throughout this week-long retreat, which will also allow you time for personal reflection and contemplation. I’ll be encouraging you to stretch your limits in twice daily yoga sessions, reconnect with nature on guided walks and explore the mind/body connections revealed by a pure diet and conscious movement. You’ll go home feeling restored and empowered to take a more intuitive approach both on and off your mat! La Rosa dei 4 Venti is a truly magical retreat location set on a hillside within its own extensive grounds of olive trees and vineyards, divided by ancient dry-stone walls. The main building is a 16th century farmhouse that has been lovingly and elegantly restored to retain character whilst offering the utmost comfort. There is an outdoor yoga platform and a spell-bindingly beautiful indoor studio. Close to the property are fragrant herb gardens, a stunning swimming pool and a tiny chapel. Beyond there is plenty of space to walk and explore the local villages and countryside. It is therefore no surprise that this idyllic hideaway was singled out as exceptional in the Tatler Travel Awards. This retreat is suitable for all levels, whether you are new to yoga or already a dedicated yogi. You will experience an uplifting week that will challenge and inspire you to delve more deeply into your practise whilst also allowing time for you to relax by the pool, read and enjoy on-site massage treatments. 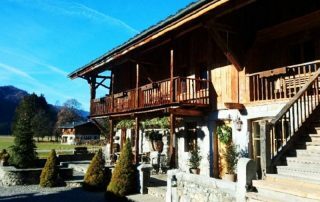 This retreat also offers those with more energy the perfect opportunity to soak up some sun whilst remaining active – trail running, cycling and even horse-riding can all be organised. Prices start at £895 (early bird discount of £50 off any retreat booked before 31st December 2016 and staged monthly or termly payment plans through 2017 will be available).